I previously mentioned (see Make 2016 the Year Your Prepare For Divine Emergence!) that this is a year of divine recognition, compassion, and service demanding greater self-integration and integrity. You could say that each year offers new possibilities for all of these, but 2016 is quite significant in that it also represents both endings and beginnings. From an astrological viewpoint, it starts on the 10th degree of Capricorn (10 = 1 + 0 = 1); numerologically, it adds to nine (2 + 0 + 1 + 6 = 9). One is the number of beginnings or births and nine the number of endings or completion—the closing of a cycle before a (re)birth. These are the underlying energies for the year, eventually leading to a brand new cycle in 2017. Now, what does this mean for you? Well, the more you understand and align with these energies, the stronger their support becomes in your own process of self-alignment and personal growth. Last year’s power energy (manifest as self-empowerment and/or power struggles) will likely become less prominent and get replaced with the need to tie lose ends, clear things up, and be of service: it’s time to unclutter, clean, cleanse, and let go of things you’ve been collecting for a while or have gotten too attached to that now may weigh you down. Yes, I’m talking about items, mementos, and trinkets that may no longer resonate with you, but also about the thought patterns, desires, and illusions, as well as the unresolved emotions and dynamics that have either become disempowering or lost their purpose in your life. Do yourself a favor and be radically honest as you write a list of things you no longer want, no matter what the reason, and find the way throughout the year to say goodbye to them. It takes nine months for a baby to be born and nine years for you to be reborn and open to new or hidden (perhaps neglected?) aspects of yourself. Nine is the number of integration and integrity, and in this 9-year cycle you’ve gone through birthing and growing pains, creative and power struggles, conflicts between individual and collective needs, and of course, a variety of doubts, fears, and emotional fluctuations that are part of the human experience. Now is the time to relinquish the need to control life to integrate what you’ve gone through into a clearer sense of who you really are by dropping the illusions of who you think you should be. Aside from this year’s underlying energies that will affect everyone on some level (and thank God will be gentler and more feminine! ), it’s important to understand those affecting you through your individual year cycle. This way you can see how aligned or contradictory these energies may be, and be prepared to respond consciously, to make the best of them. To calculate your particular year number, add the month and day of your birth date to this year’s number (which is 9) to see where you’re at. So for example, I was born on June 6th, so my year’s number is: 6 + 6 + 9 = 21, which can be reduced to: 2 + 1 = 3. This is a year 3 for me, and I’m looking forward to discovering where its creative and expressive energy will take me, while I respond to the calling for service and compassion (from this year’s 9) to further my soul integration. One – 1. This is a year of new beginnings, new projects, and new births (or a rebirth). It’s the time to take charge and lead your life in a new direction. Watch the contradictory feelings of wanting to begin things if you haven’t completed previous tasks and projects. Manage your energy wisely to finish what you’ve started before, and avoid jumping ahead of yourself or being too domineering. Yes, you will have plenty of energy and enthusiasm to do it all, with discipline and patience, and make things happen your way. Two – 2. This year will likely be focused on relationships and partnerships, and can get quite touchy emotionally speaking. Essential key words: diplomacy, compassion, and cooperation. Avoid conflicts like the plague and choose love over fear every step of the way while you break free from your codependent tendencies. It may be a challenging year that requires great integrity and flexibility, but as you prioritize what’s most valuable and learn to detach from expectations and agendas, you’ll be rewarded with greater humility and inner peace. Three – 3. This is a very positive year of emotional and creative expression (which will feel like a much needed vacation after last year’s slow pace). Good for traveling, writing the novel you always wanted to, or for any creative project you’ve kept in the back burner. This is a year to give your self-expression free rein, relax, and have fun, in preparation for next year’s hard work, but keep an eye on your energy and money, and avoid throwing caution out the window because you feel overly positive. Enjoy life and be generous without depleting your resources! Four – 4. This is the year you put your nose to the proverbial grindstone to bring your ideas and projects into material reality, and build a solid foundation for (at least) the next nine years. Yes, it’s a year of hard work, but it will pay off wonderfully both short- and long-term. Be disciplined and methodical in your approach, and build, build, build without complaining or becoming too fixated on things. Key words: practicality, patience, and perseverance. 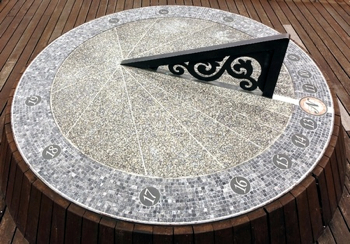 Five – 5. Many opportunities and changes will color this year for you. It’s time to go for and accomplish those things you’ve been thinking of doing “someday.” Stretch your comfort zone, take risks, and try new things. Follow spontaneous impulses in this lucky year, because you never know where new opportunities will take you unless you bring yourself out of the familiar mental ruts and routines. Be bold and adventurous, even if just in your point of view, and use your creative energy in the service of others without excluding yourself. Six – 6. Family, home, and responsibilities will take priority this year. I know, they always do, but now they will also show you the value of commitment and caring as you let go of any resentment and sense of victimhood. This is a great opportunity to take spiritual responsibility for yourself, so take good care of your physical, creative, and emotional needs, and drop the self-judgment and perfectionism that stunt your growth. Be generous, charitable, and supportive, but only when asked. Trust that we’re all being guided and let others learn and grow while you do the same. Seven – 7. This year it’s essential to carve time out from the usual flurry of activity to go within. Retreat, recharge, reflect, and reconnect with yourself. Discover the links between the spiritual forces within you and how they manifest in your life, to develop a clearer perception of your place and purpose in the world. Will you let this be the year you awaken to a much higher reality? Eight – 8. You will have the opportunity to make some real progress with any project this year, to increase your income and success, as well as get the sense of being in charge of your life. Get organized and charge ahead toward the achievement of your goals, but do not step on anyone’s toes along the way or you will find yourself tangled up in power struggles. Because the energy of eight is too close to the energy of nine, you may experience opposition, but it’s meant to show you what you’re really made of, so persevere! Use the diplomacy, flexibility, patience, creativity, and spiritual responsibility you’ve been learning for (at least) the past seven years to navigate life gracefully and accomplish what you want. Nine – 9. This is the year to complete projects, tie lose ends, let go of outdated things, and show your humanitarian side as well. You will feel more generous and compassionate, with a stronger urge to be of service. Artistic influences will also be strong, so carve some time and space for a creative endeavor of your liking. Enjoy the rewards from past good deeds and think big, but do not start anything new. Prepare the way for next year by clearing any cobwebs and unresolved issues. Since nine is the general vibration for this year, you will feel it strongly, which can help you unclutter inside and out, and make your life more integrated and lighter all around. Are you getting ready to be reborn? Eleven – 11. You will feel particularly inspired, creative, and clear about your place and purpose in the world. You may also be on the spot light and shine your inner radiance. Even if you don’t see your name in lights, you’ll be the center of attention in some private universe. Focus on solutions rather than problems, and you’ll witness an amazing amount of creative and healing energy flow through you. Breathe, relax, and open up even if life throws a few monkey wrenches your way. You will figure it out. I hope this will help you navigate this year with more confidence and clarity. Contact me today if you’re ready to clear deeply ingrained patterns that no longer serve you and pave the way to the life you really want. With guidance and support, you can make the best of this and every year! 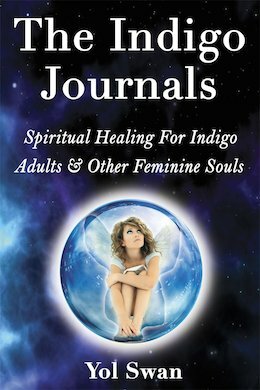 Also, The Indigo Journals: Spiritual Healing For Indigo Adults & Other Feminine Souls is chock-full of tools to set you free this year. Although centered around the wounded Feminine and Indigo archetype, this book is essential for anyone wanting to understand the chaotic world we live in and seeking emotional and spiritual freedom. Click here to get your copy now! 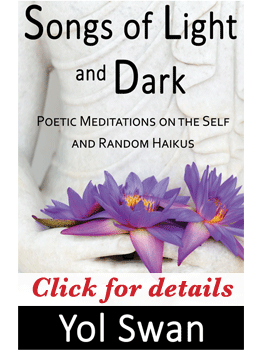 ← Make 2016 the Year You Prepare For Divine Emergence!